Sport & Remedial Massage involves the use of massage, soft tissue manipulation, facilitated stretching and exercises to reduce physical aches and pains, whether they are caused by sport, injury, or simply the stresses of modern life. People all over the world are discovering its wide ranging benefits, which can also help a variety of medical conditions. Did you know that regular stretching and massage are essential in maintaining the condition of muscles and reducing the possibility of injury? Emma is a qualified massage therapist. She holds a diploma from the London School of Sports Massage, a BTEC diploma in Sport and Remedial Massage Therapy, as well as other certificates in specific massage disciplines. She is a member of The Institute of Sport & Remedial Massage. Her background is in professional dance, with a career that included various dance companies, tours and freelance ventures around the globe. 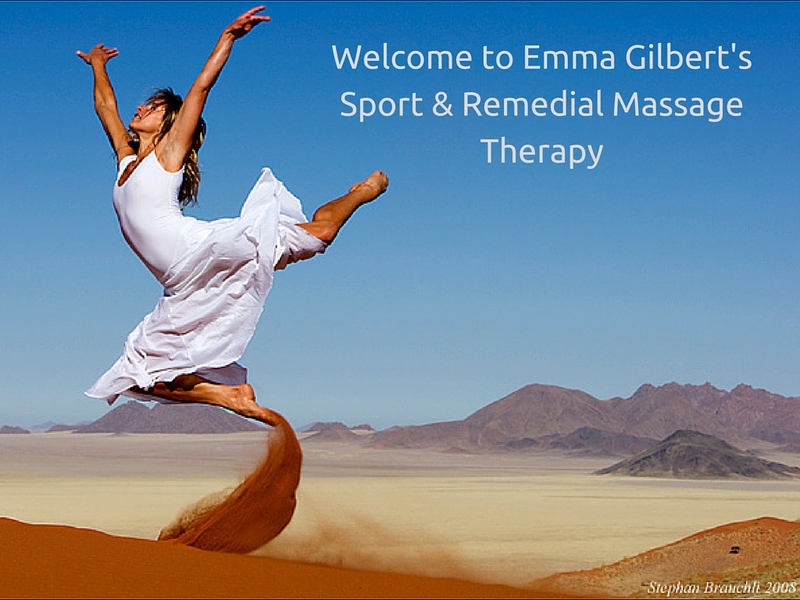 Find out more about Emma and Sports Massage. Sportsmassage.ch treats clients from all walks of life from housewives to professional sports people, including: professional dancers from Zurich Ballet, Aterballetto and La Compagnia Balletto Classico di Liliana Cosi e Marinel Stefanesco; track and field world class athletes, marathon runners, tri-athletes, cyclists, tennis players, swimmers, volleyball players, footballers; office workers; research scientists, hairdressers; housewives; professional singers. Client reviews can be found here.